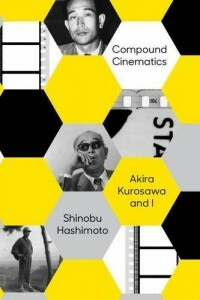 More or less thus begins Shinobu Hashimoto‘s Compound Cinematics: Akira Kurosawa and I, a book which despite its rather unfortunate cover design is not a beekeeper’s manual or a strategy board game, but in fact a real and proper book about a rather interesting part of film history. 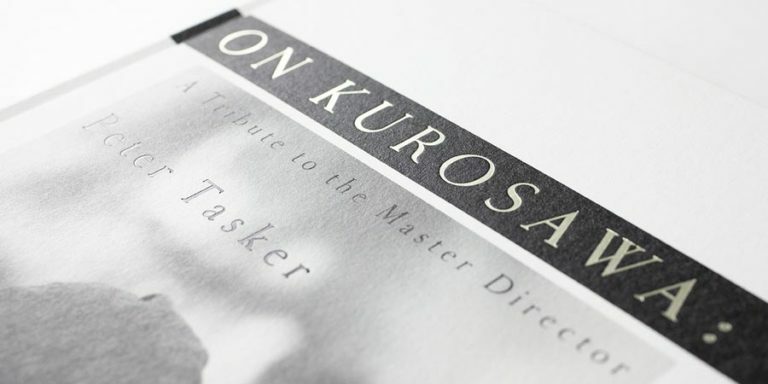 Written by Akira Kurosawa‘s longtime co-screenwriter, it is the first book to concentrate on Kurosawa’s collaborative screenwriting practices. Originally published in 2006 in Japan, it has now been made available in English by Vertical Inc and it has definitely been worth the wait. As the quote above illustrates, Compound Cinematics shares something with the films that it discusses. It is far from a lifeless technical account of events, or even a standard linear memoir. At the age of 90, Hashimoto is still a screenwriter and storyteller, and in many ways his book reflects that. Although it is highly self-referential and sometimes moves in circles while anticipating something that would happen only much later, the book has a clear structure which largely conforms to the kishōtenketsu structure that the author frequently refers to, and the book in fact strongly resembles a first person novel (shishōsetsu), a typical genre of Japanese literature which is grounded in autobiographical details. This is not to say that Compound Cinematics is a work of fiction, but it definitely seems to frame itself as one, and the result is a marvellously clever work which is an absolute pleasure to read, no doubt also very much thanks to the book’s translator Lori Hitchcock Morimoto. So, what is Compound Cinematics? At its core, it is the story of a boy from a poor rural family who by chance comes in contact with a famous benefactor (Mansaku Itami) who trains him and unknowingly prepares him for another meeting that changes the boy’s life. Mr. Kurosawa appeared right away. He was astoundingly tall. I especially remember his graceful, deeply-chiseled features and the red sweater he wore. I was thirty-one, and since he was eight years older than me he would have been thirty-nine, and in his hand he held my handwritten draft of Shiyu. 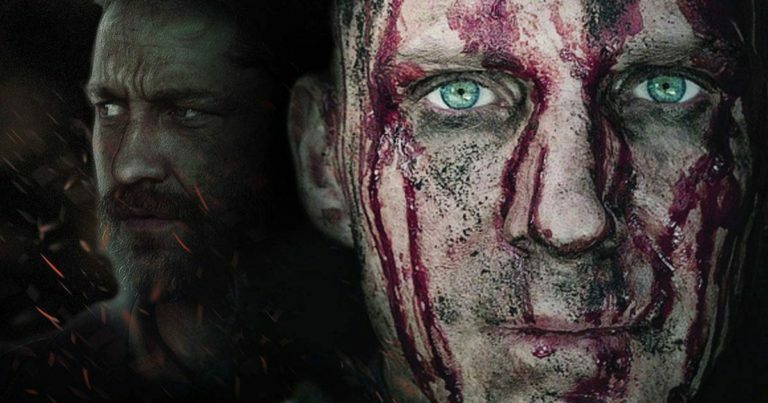 Once we were seated across from each other, he pushed my draft forward and began to speak. Our first meeting ended so simply that it didn’t feel complete. We spoke for only one or two minutes, and then I put my manuscript in my bag, and both Mr. Kurosawa and his wife Kiyoko showed me out when I left. As I left the residence, however, my regret and shame began. Why had I said that? Put “In a Grove” and “Rashomon” together? I had blurted out something that I hadn’t even thought of before, that hadn’t even been in the back of my mind. Thus began a collaborative relationship which lasted for nine films, or almost a third of Kurosawa’s entire output. And yet, the two men never got together on a personal level. 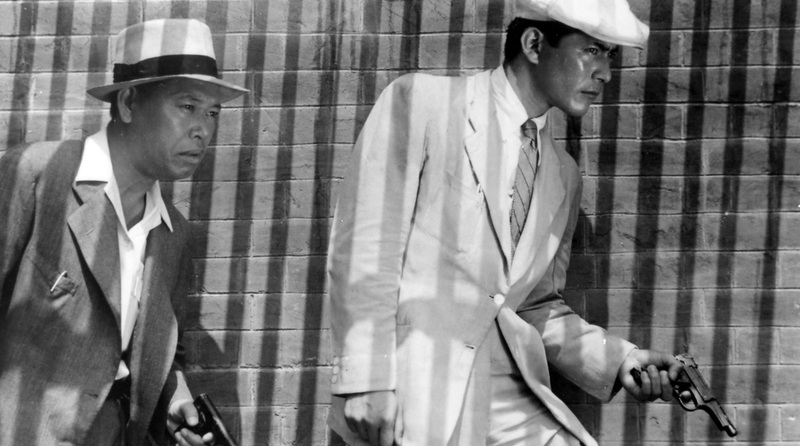 For Hashimoto, Kurosawa appears to have remained an enigma, a distant and somewhat mysterious craftsman-turned-artist whose genius was nevertheless never above criticism. Consequently, those looking for insights into Kurosawa as a private person must, once again, turn away disappointed. On the other hand, those searching for information about the working methods of Kurosawa’s screenwriting team, their collaborative process of “compound cinematics”, are in for a treat. Even more than that, Compound Cinematics is the author’s own autobiography that makes use of his work with Kurosawa as a reflective surface with which he can shed light on his own persona and the subjects that he feels strongly about. Among the things that Mr. Kurosawa said to me, one made a lasting impression. I also had that impression, so I nodded. In his own last testament, Hashimoto is concerned about the future of film as a narrative art form. He argues passionately for a type of collaborative writing which he and Kurosawa employed on films like Rashomon, Ikiru and Seven Samurai. He also calls for a much wider range of films to be produced, suggesting that productions should embrace works of all shapes, forms and lengths, in addition to the traditional two-hour feature. At the same time, the book is a portrait of Hashimoto himself. What emerges from the pages is a somewhat peculiar man who clearly lives and breathes film but also believes so much in the importance of screenplay that at one point he declares it to be a total waste of time to watch a film whose screenplay you have already read, as they are essentially the same thing. Here also is a man whose name appears in the credits of The Bad Sleep Well but who has apparently neither seen the film nor read the final screenplay, having due to scheduling conflicts left the production before writing had finished, not entirely interested in the story anyway. Neither has he by his own account seen a single Steven Spielberg film since Jaws because he is convinced that the American director could never surpass the brilliance of that work, so spending time with any of his other films would be pointless. Hashimoto, in other words, comes across as a man of strong opinions and equally resolute convictions. And while you may not agree with everything that he says, and are often left wondering how much of what you read is actual Hashimoto and how much a character created by Hashimoto, it is all very fascinating reading. Compound Cinematics is divided into seven sections, starting with a short Prologue (9-14) and progressing onto the book’s five numbered chapters. Chapter One (“The Birth of Rashomon“, 15-40) describes how the author became a screenwriter and how he developed his skills under the informal mentorship of Mansaku Itami, who was coincidentally also something of a father figure for another Kurosawa regular, Teruyo Nogami. Chapter Two (“The Man Called Akira Kurosawa”, 41-140), the longest chapter in the book, explains how Hashimoto ended up working with Kurosawa and describes in detail the creative process that led to the screenplays for Rashomon, Seven Samurai and Ikiru, the three films that the author is understandably most proud of. Although much shorter than the preceding chapter, Chapter Three (“The Lights and Shadows of Collaborative Screenplays”, 141-176) is the heart and soul of the book where Hashimoto makes his central argument. Here, he describes a major change in how Kurosawa’s team approached screenplays after the production of Seven Samurai. Up until then, Kurosawa’s collaborative screenplays had been written with the time consuming practice of thorough initial preparations and multiple drafts, with each writer carrying different roles — in Ikiru and Seven Samurai, for instance, all of the writing was done by Hashimoto and Kurosawa, while the team’s third member Hideo Oguni acted as a “command tower” who evaluated what was being written and either accepted or rejected the produced pages, not putting a single character on paper himself. Starting with Record of a Living Being, the collaborative process changed to one where everyone wrote simultaneously and in competition with each other, with the goal of producing the film’s final draft in one go. This was a much faster process, but Hashimoto argues that it was also an inherently flawed system which produced inferior screenplays. With a few exceptions, Hashimoto is fairly critical of the majority of Kurosawa’s post-Seven Samurai output, including all of the films that he himself helped to write. Chapter Four (“Hashimoto Pro and Mr. Kurosawa”, 177-202) discusses Hashimoto’s production company Hashimoto Pro and how he somewhat against his better judgement found himself working again with Kurosawa to get Kagemusha funded. Despite his involvement with the production, Hashimoto is incredibly critical of Kagemusha, as he is of Ran, both of which he considers narrative failures and further examples of the deficiencies in the type of collaborative writing arrangement which Kurosawa adopted after Seven Samurai. Hashimoto closes the book with an Epilogue (219-251) which looks at the deaths of his screenwriting partners Ryūzō Kikushima, Hideo Oguni and Akira Kurosawa, while reiterating his central argument for the importance of collaborative writing. The section on Kikushima is a particularly strange one as it describes Hashimoto’s visit to the hospital where Kikushima spent his final days. Sitting alone on his bedside, and uncertain whether the immobile Kikushima could even hear or understand him, Hashimoto begins to tell Kikushima about a government supported national film production company which was apparently being planned in the late 60s and aimed to save the declining Japanese film industry. As a testament to how well he sets a scene draws the reader in, while reading the rather lengthy section I madly wanted to grasp Hashimoto’s hand and insist that “No, Mr Hashimoto, this is neither the time nor the place, let the man rest!” And yet, in terms of what Hashimoto wants to communicate, it is exactly the time and place for his monologue. Although less peculiar, the sections on Oguni and Kurosawa are similarly utilised to sum up the argument that Hashimoto has developed throughout the book. The book finally ends like a Japanese film, with an otherwise blank page displaying the words “The End”. Compound Cinematics: Akira Kurosawa and I is a fascinating book. Part memoir, part novel, part testament, part screenplay and part argument for a new type of cinema, it is an excellently written and certainly thought provoking account by a man who is partially responsible for at least half a dozen of cinema’s greatest achievements. As a Kurosawa book it gives you much new information, as well as an angle into the director’s works that you may not have considered before. As a result, Compound Cinematics can be warmly recommended to anyone, regardless of whether you are interested in Kurosawa, Japanese cinema, screenwriting or just a good story. It is a joy to read and a pleasure to think about. Compound Cinematics: Akira Kurosawa and I is available for purchase from all major bookshops, including Amazon.com, Amazon.co.uk and Amazon.de. The book is available in both hardcover and ebook formats. I’ve just finished this book – I will post a little more on it later, but just to say for now that I concur 100% with Vili’s review. I must admit that based on the cover and title I was expecting something a little heavy going, but I’m delighted to say that it is a terrific book, fascinating and often very moving. Hashimoto seems to be quite a character, and very opinionated (there is no such thing as a 2 and a half star movie in his world – its either a masterpiece or a waste of time). He never pretends to have been Kurosawa’s friend, but he worked intimately with him and his insights are fascinating, as are his very forthright opinions on those AK films he didn’t work on. This is maybe my favourite book on Kurosawa I’ve read and the insights are absolutely invaluable. Essential reading. Great to hear that you enjoyed it, Ugetsu! It’s definitely a book that I wouldn’t judge by the cover. Also, one of those books that you want to devour as quickly as possible while hoping that it will never end. As I also mentioned in my review, for me the book often felt almost like a (first person) novel. Did you get the same feeling, and if you did, do you think that it was intentional on the author’s part? As I also mentioned in my review, for me the book often felt almost like a (first person) novel. you get the same feeling, and if you did, do you think that it was intentional on the author’s part? Its an interesting idea that is might be part novel (certainly, some of the remembrances are too precise I think to take them too literally) – I did get the impression that Hashimoto could not resist writing the book almost as if it was a scenario for a film. For a book that ranges widely from personal reminiscence to film criticism to apparently random thoughts on what could and should have been the future of Japanese films the book is remarkably controlled and tight. I felt that it was less a first person novel than almost a screenplay. 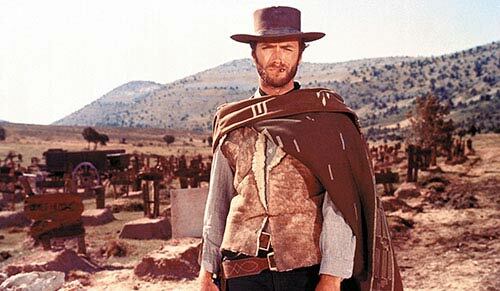 The epilogue, where he allows himself a bit of a rant about the failure of the Japanese government to properly support cinema is I think quite deliberately kept separate from the main book – but in describing it through the deathbed scene he has his cake and eats it – he is both simultaneously self-indulgent, while maintaining the rigid discipline of a professional screenwriter. I found it all very impressive. I just finished this yesterday, and while I’m glad I read it, I’m not as enthused about it as the rest of you. For one thing, I think Hashimoto engages in too much speculation and what ifs, and he’s sometimes contradictory. He says he wouldn’t have agreed to write again for Kurosawa if he hadn’t adopted the final draft procedure because of how onerous the single leadoff system was, yet he criticizes the final draft system mercilessly. I disagree with his assessment of Kurosawa’s post-Seven Samurai scripts. And I don’t buy the rigid distinctions he makes between novel writing, writing plays, and writing films. I can see why he’s such a great screenwriter, though, and while I had a good general sense of how the scripts he focuses on were produced, it was great to read the details. Also, it was interesting that he had the same initial mentor as Nogami – Mensaru Itami. It’s a small world. And I suspect that his sense that something important was lost when Oguni became just another writer rather than the final word is correct. Personally, while the contradictions and the needlessly binary opinions would have bothered me in a pure memoir or an academic monograph, I somehow so naturally approached the book as a novel that they only enriched my reading experience. I have already put the book back into my reading pile and hope to give it another read sometime soon. I just finished this yesterday, and while I’m glad I read it, I’m not as enthused about it as the rest of you. For one thing, I think Hashimoto engages in too much speculation and what ifs, and he’s sometimes contradictory. I’m sorry to hear you didn’t enjoy it as much as Vili and I – I must admit part of the reason I enjoyed reading it was exactly the speculations and contradictions he expressed. I like the fact that Hashimoto didn’t seem to care too much if his arguments were coherent, he seemed to be getting several decades of frustration off his chest and I thought he was very entertaining in doing so. But clearly, its not wise to read his book as either a precisely accurate memoir, or a rigidly academic analysis of Kurosawa’s films. While many of his ideas – such as the impact of Kurosawa’s post Seven Samurai script style on what he seems as a significant drop in quality – are obviously questionable, to say the least, I think it is also very thought provoking. I do think that after Seven Samurai Kurosawa seemed less interested in ‘telling stories’ than in ‘making statements’ – either about Japan in general or about his own artistic status. I certainly found Hashimoto’s analysis of the relative failure of I live in Fear to be very astute. It’s impossible for me to like a work of non-fiction when its arguments seem weak and the opinions presented are offbase. That’s my primary way of judging such a work. I agree that Hashimoto is working off his personal frustrations, but that’s not what I purchased this for, so that aspect of it seemed self-indulgent. I don’t know if viewing it more as a memoir than an essay would help. I found Hashimoto’s personality offputting, particularly in his monologue with his dying colleague, which is odd because I’ve enjoyed his interviews in the Akira Kurosawa: It Is Wonderful to Create series. And it doesn’t matter whether that monologue did or didn’t happen. Viewing it as a first-person novel might help, but (a) I can’t view it as a first person novel because it’s not, in part because (b) it doesn’t cover enough of the rest of Hashimoto’s life and (c) I wouldn’t have purchased it if Hashimoto and not Kurosawa had been the focus. Besides, I read non-fiction for different reasons than and as a palate cleanser from fictional narratives; for a supposedly non-fiction work to be treated as fiction defeats that purpose. What can I say? Both by dint of personality and training, I’m only interested in reading essays that are logical and well-founded. Being well-written and incisive isn’t enough. Also, is it just me or did the introduction read as if it had been put through Google Translate? Lawless, I can understand your frustration with the book – I get frustrated myself at books which can’t quite decide what they want to be. But for me the odd hybrid of memoir, fiction and analysis works for me. But then again, I’m a fan of travel books, and lots of travel writers take this approach. It does seem to be in a slightly different style – perhaps a different translator, or perhaps he (or the translator) was trying to write it in a distinctly different style from the rest of the book, but I didn’t think it was googletranslatish (if there is such a word). I exaggerated a little, but the introduction was awkwardly enough worded that I would characterize some of it as ungrammatical, which the text was not. I assumed both were the product of the same translator. Maybe that was a mistake. 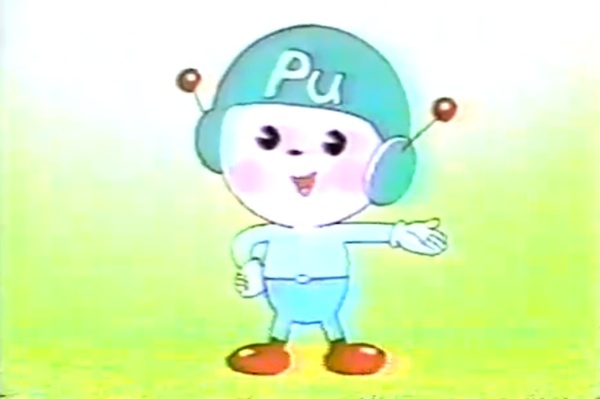 At any rate, perhaps an overly literal translation or rendition of Japanese idioms and politesse (such as formal pronouns) instead of using an English equivalent? Without knowing the original its hard to judge a translation, but I did like the way the book worked – you could feel the Japanese underneath while the book still flowed well (for me), so for me it was a very good translation. I would have to read it again to see what you mean, but I think maybe the translator was trying for each section to have a different ‘feel’ to reflect the different aspects of the book and that may well reflect the different Japanese. I think with Japanese there is a greater distinction between formal and informal tenses, so it can perhaps be difficult to render that sort of distinction into English. I’m talking about the foreword, not the rest of the book. I’m also assuming all the versions are the same. I read the e-version. I have the hardback print version – the translation is attributed to Lori Hitchcock Hashimoto. I assume by the forward you mean what is described as the Prologue ‘Tokyo March’? Reading it again, I think it was intended to follow an almost poetic pattern of the sound of a railway, hence the short snappy lines. No, I was talking about the foreword “One Blow” by Masato Kato, Chairman, Writers Association of Japan, which is not included in the hardcover version but is in the e-version I have. It feels like it was translated by someone else, but there is no indication of that. Ah, I see, no thats not in the hardback, that explains it. It’s interesting that the foreword is not included in the hardback edition. I had no idea! I wonder why it was omitted from the physical book. I am by no means an expert, but having become involved in publishing in the past couple of years, if I had to guess I would say that it could be due to practical reasons, as including it might have meant having to add another section of pages, maybe even 16 or 32, depending on the binding. That of course increases costs. I read the introduction at Amazon (it’s included in its entirety in the “Look inside” preview), and it definitely reads a little differently from the rest of the book. It could be that it’s a different translator, or that the chairman wrote it directly into English, or that it’s the same translator as with the rest of the book but was rushed to be included for the digital English edition. Despite the less elegant style, I quite liked the introduction. The bits about Hashimoto’s health picking up made me smile.